The social media boom swept Silicon Valley in 2010, when twenty-two-year-old Rami Reyes fortuitously arrived at private equity firm Elevation Partners to work on his first deal: an investment in Facebook. The savvy investor gained increasing responsibility at the firm over time—fast-tracking his rise among the Bay Area intelligentsia and building credibility with the team of experts with whom he would later unite in the creation of NextEquity Partners. Born and raised in Miami, Reyes cites his childhood in an economically and ethnically diverse community as his networking microcosm. “I’ve been able to learn to cultivate relationships with so many different types of people over the years,” he says. Relationships with mentors and other entrepreneurs are particularly crucial to the success of Latino business owners, as confirmed by data in the 2017 State of Latino Entrepreneurship. Yet the report also identifies a startling preparation gap: Two out of three scaled firms (companies generating at least $1 million in annual revenue) do not have the materials needed to access funding, such as a current business or financial plan. Part of the problem also lies in the fact that the venture capital industry has few Latinx investment professionals. Reyes cofounded NextEquity Partners in 2015 to serve companies as advisers and business partners. His partners include former Apple executives and leaders at Elevation Partners renowned for their expertise with high-growth market leaders in the new media and technology space. The son of a Nicaraguan immigrant, Reyes first witnessed the value of education watching his single mother work and attend school at the same time. It championed his own pursuit of excellence, resulting in his acceptance into a Goldman Sachs program in high school and later as one of two students given the Dean’s Award for Excellence at the Wharton School of the University of Pennsylvania, where he completed a bachelor’s degree in economics. Now Reyes is paying it forward. Six years ago, he founded the San Francisco Leadership Council for Sponsors for Educational Opportunity, which is an eight-year program that helps lower-income public high schools students get into and through college. He also serves on the board of directors for Medsphere, one of NextEquity’s investments, which provides affordable and high-quality electronic health record software to hospitals in urban and rural settings. 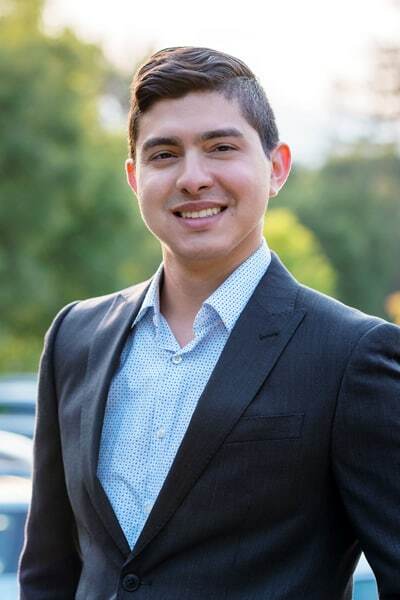 In an interview with The Alumni Society, Reyes divulges what experiences accelerated his career, how mentorship empowers entrepreneurship, and why he’s excited about the change his team is spearheading at NextEquity Partners. You’ve got to be scrappy. As an entrepreneur, you’re always trying to find creative ways to save money and do something more efficiently because you don’t have the luxury in terms of resources and capital that a bigger firm has. You have to figure out how to find new customers for a product and convince people that your product is something they should spend money on. Are there challenges that Latino entrepreneurs face in particular? I think the biggest challenge is access. First, you need to know where to find investors. Second, investors are usually getting hit up by so many people that they generally don’t respond well to cold calls. It’s more effective to get a warm introduction, which is the challenge. Go to major hubs for your industry—to live or spend a good amount of time—for exposure. It’s really about meeting as many people as possible to build real connections with people who can partner with you one day. Is that what inspired you to found the Leadership Council for Sponsors for Educational Opportunity? Yes. It fulfills my belief in the power of education to open doors and, on a personal level, it’s also always fun to talk to the younger generation, because the younger they are, the more tech-savvy they are. Working with students who do not have much but are willing to work hard reminds me where I came from and where most of the country is outside of Silicon Valley. We’ve had over a hundred students go through the program (all of whom have gotten into four-year colleges) and raised over $100,000 to help support them. It gets me excited about the future because all of these kids have so much potential and are working so hard to fulfill their dreams. What role has mentorship played in your own career? I was very fortunate that in my first job at Elevation Partners all of the people above me spent significant time coaching and investing in me, especially the partners that I eventually started NextEquity with. That was really helpful in accelerating my learning curve, especially given the experience level of my partners [ex-Apple executives and long-time investors]. I would recommend to young people that they take jobs in places where there are people who will invest in them. When I made my first hire, I made sure we were thoughtful about how we would invest in her and longer term, we’re very focused on investing in all of the people we hire. How does your experience investing and working with the big names in business (such as Facebook, MarketShare, Airbnb, Sonos, etc.) inform your approach at NextEquity Partners? A big aspect of venture investing is pattern recognition. One of the great things about having invested over the years in great companies, like Facebook, is that you recognize similar patterns in other companies you see. As an example, when we invested in Airbnb in 2013, the network effects they were seeing reminded us a lot about Facebook, which got us really excited. That being said, I think you learn as much if not more from the failures of both the companies you invest in and the companies you pass on but continue to track. Similarly, in life, I think there’s a lot to gain from learning about what those who have done well in your field did, but there’s just as much to gain from learning from the experience of those who did not. What do you consider to be NextEquity’s greatest achievements so far? Our first accomplishment was raising a first-time fund that exceeded our expectations in size (we were initially targeting $75 million and ended up at $120 million) with a great group of investors (the majority of our investors are successful current or former executives). The next goal is to invest in great companies and over halfway through investing the fund, we’re really thrilled with the companies we’ve been able to invest in, including Ring (which Amazon just acquired), Lyft, Venafi, and The RealReal, among many others. Longer term, we want to continue to invest in great companies, find ways to be helpful to the companies we invest in, create a family-friendly and inclusive culture, and deliver strong returns to our investors who believe in us. When you’re in college, you have so many classmates who will go on to do such interesting things. Human nature often means that you hang out with people like you, and I think as Latinos it’s important to utilize and build a strong Latinx network, but also focus on developing relationships across many diverse networks.